Courtesy of Ned Denison, Cork Distance Week. Philip Hodges from Australia became the first person to complete the Triple Loch. 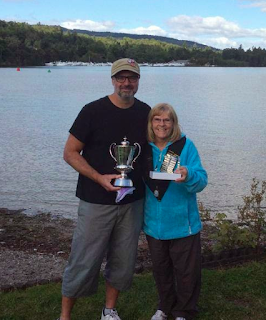 In 2014, he completed a 34.8 km crossing of Loch Lomond in 13 hours 1 minute 7 seconds [photo on left]. In 2017, he completed a 36.2 km crossing of Loch Ness in 13 hours 44 minutes and he most recently completed a 15 hour 3 minute crossing of Loch Awe. According to the British Long Distance Swimming Association, "It was an incredible swim by Philip, more so because Philip has been in Ireland for much of the last fortnight patiently awaiting his North Channel slot. Unfortunately his tide was blown out, but in an incredible display of resilience, he swam Loch Awe instead [on August 19th]."